Math is your friend! Don't Get Bamboozed by Overpriced Small Packages! Today, I took a customer service call from someone who just received a new catalog from another spa supply company and she was asking about comparisons of the time tested, celebrity-preferred tanning mists Pure Spa sells and some "new" ones she saw in the catalog. Her very first question was about cost... she said they had a few sizes and they seemed like a deal. They had 100 mL., 500 mL. and 1 Liter sizes for $11, $54 and $99 respectively. I then did some quick math and told her what those cost in something she could related to... Gallons! She almost fell off her chair. The point is, don't be bamboozled by packaging sizes you are not used to in any product. Do the math and be an educated customer. If you don't know the conversions, Google does! For example, Google "convert 1 liter to oz". The result right up top shows: 1 liter = 33.8140227 US fluid ounces. A gallon has 128 oz., so simply divide 128 by 33.81 and you'll see there are 3.79 Liters per gallon. You might recognize that number from 1 gallon bottles of water that say 1 Gallon (3.79 L). Anyway, then just multiply 3.79 by the cost for a Liter and Voila... you may just have cardiac arrest! 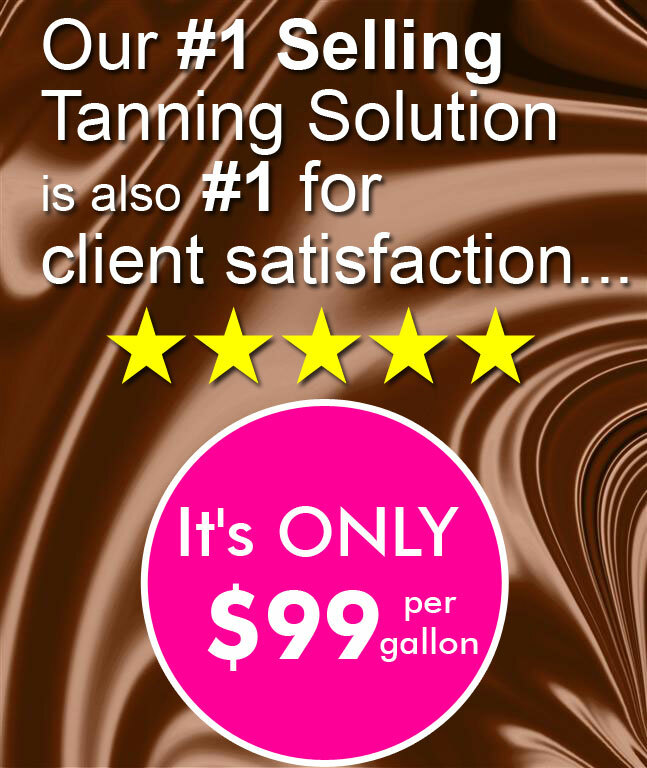 Pure Spa Direct offers 5 top quality tanning mists for professional spray tanning ranging in price from $99 per Gallon to $172 per Gallon (that's just $26.12 - $45.38 per Liter for you Metric fans). 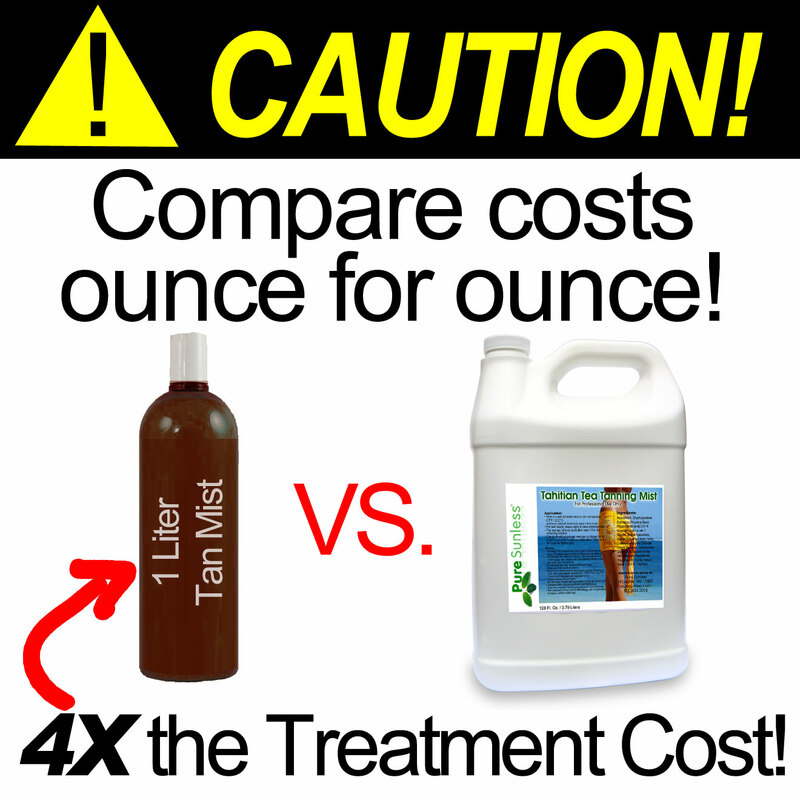 Caveat Emptor... Let the Buyer Beware of packaging size vs. price! 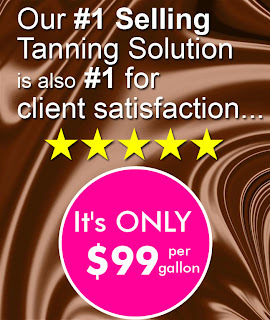 Stated one more way... for tanning solution, the service yield is about 50 tans per gallon. A $8.18 treatment cost with other Liter size tanning mists!!! OUCH!!! Smaller sizes may be tempting, but they cut into your bottom line!! !